fdisk utility doesn’t support storage device that is larger than 2TB. Therefore you need to use GNU “parted” to create your partition. As root run ‘parted /dev/sdX’ where X is the SAS/SATA/whatever controller’s drive as presented to the Linux kernel. Then ‘quit’ Parted to save your changes to the partition table on the relevant drive. This creates a new partition assigned the whole drive capacity and gives it the LVM partition type, then saves those changes & exits parted. In the Upload a New Certificate section click the Browse button and locate your SSL Server Certificate file your_domain_com.txt. Click the Go Back link to return to SSL/TLS Manger. Click SSL/TLS Manager > Setup a SSL certificate to work with your site. If this option is not available to you your ISP may have disabled it and you will need to contact them to complete your SSL setup. From the Domain drop down menu select the domain that will use the SSL Certificate. The system will attempt to Fetch the SSL Certificate and corresponding private key. Open SSL_Intermediate.txt in Notepad or other simple text editor (not Word). Copy-and-paste all the contents of the GeoTrust_Intermediate.txt file into the Ca Bundle (CABUNDLE) box. Click on Install Certificate. You should receive a message that the certificate was successfully installed. If you receive an error you may need to contact your web hosting provider for additional support. /abc/ is your subdomain folder under public_html. If you accidentally remove the ‘www’ shortcut to public_html folder in cPanel, please follow tutorial below to recreate it. 4) Done. Do a ls -al to double check the sym link. Hi. Today I’m going to show you on how to setup a software RAID as usual. But this time, it will not be based on Linux or Unix operating system. Today I’m going to show how to setup for Windows Server 2003. Yes, Windows Server 2003 has a built-in function that almost similar to Software RAID function. Please make sure before this installation, you will need 2 identical hard disk with same space connected to the server. But the truth is, you don’t need to same hard disk with the same space amount, but as long as you partitioned the space equally then it would be good as well. But for beginner, it is better to get a hard disk that got the same space quantity, less percentage that you would get yourself confused. 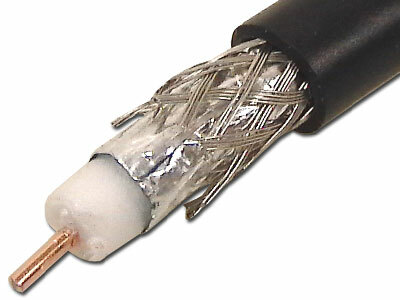 It an electrical cable with an inner conductor surrounded by a flexible, tubular insulating layer, surrounded by a tubular conducting shield. I’m going to show you on how to setup the Software RAID for FreeBSD. The Software RAID process in FreeBSD is a lot simpler compared to the previous CentOS, Debian, or Ubuntu Software RAID. This time around, I will show you how to configure the software RAID using Debian. This also can be applied to Ubuntu system as their are based on Debian platform anyway. As I mentioned earlier, the Software RAID configuration can be quite troublesome and time consuming, but at least it is reliable and save a lot of cost when buying a hardware RAID instead.